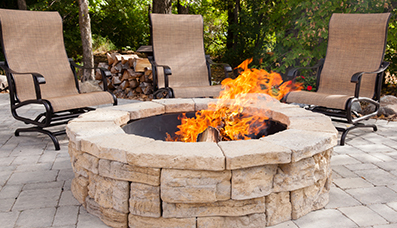 The sticky hot summer mixed with water can bring a progressed growth of algae and fungus leaving your beautiful custom water feature unattractive and sometimes smelly. 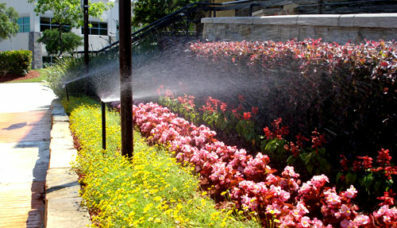 Water features are expensive and need to be maintained throughout the year. Summer wreaks havoc on the operating system and can cause many problems if not kept up. 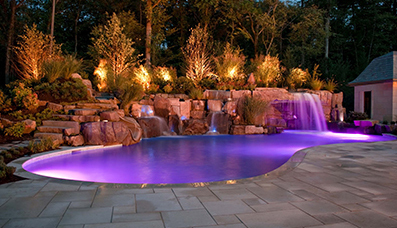 Similar to custom pools or spas cracks and leaks can occur in any residential or commercial feature water creation. Keeping a maintenance regiment is highly suggested and will be rewarding in the longevity of your water feature system and its tranquil presences. Many times a water feature is an added bonus to a rental home or a newly purchased pre-owned home, with such beautiful additions keeping them maintained isn’t always the first factor new owners think of. There are many functions that need to be contiguously maintained and many owners do not have the time to put forth in keep their custom water feature crystal clear. Water feature repairs can be costly depending on the feature, its size, and the hardware used to create it. Here at H30 water systems we care about your custom feature and the serene atmosphere it gives as you or your guest enjoy it. We believe that these systems if properly maintained can add value to a property and elegance to the home. Is your custom feature leaking, or growing something that resembles the swamp? Is it cracking and starting to leak all over your landscaped yard? If so, let us create an annual maintenance package that will guarantee your water features beauty and many months of tranquil peace for you and your guests. Give the H3O Team a call today and one of our certified skilled technicians will be happy to go over the proper maintenance for all of your water features needs and get your water features back up and rejuvenating your backyard as quick as you book your appointment!